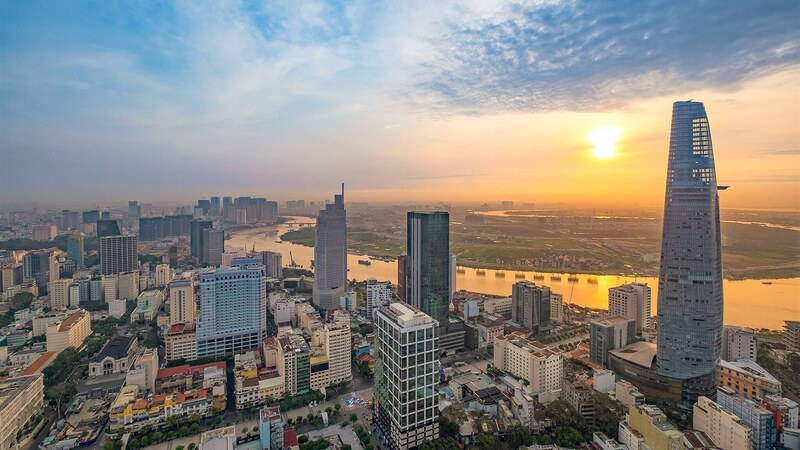 Ho Chi Minh City, also known as Saigon and long considered as the Pearl of the Far East, is the most dizzying city of commerce and culture in Vietnam. A visit to Saigon is like an encounter with exotic delicious food, French colonial architecture and memories of Vietnam War. Below are top reasons that you should choose Ho Chi Minh as your first destination when traveling to Vietnam! 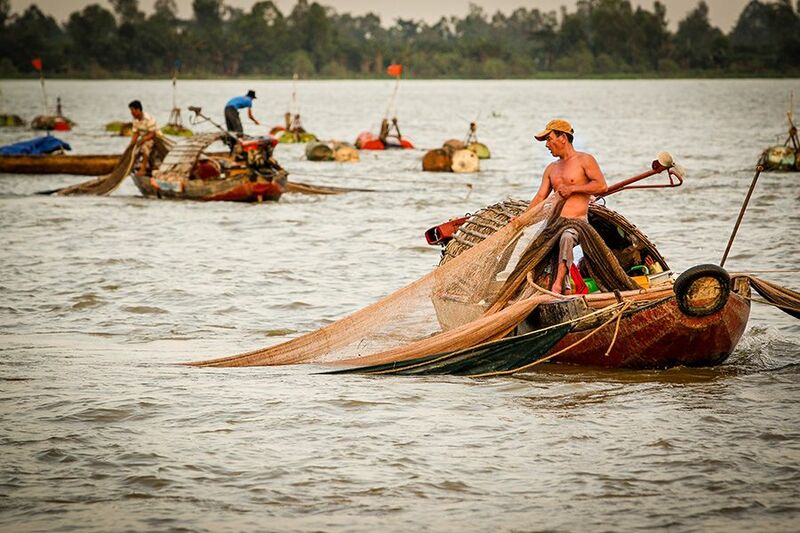 A few hours outside of Ho Chi Minh City, the Mekong Delta can be found snaking through luscious countryside. A world away from the busy streets of Saigon, this sight will give you an entirely different perspective of Vietnam altogether. 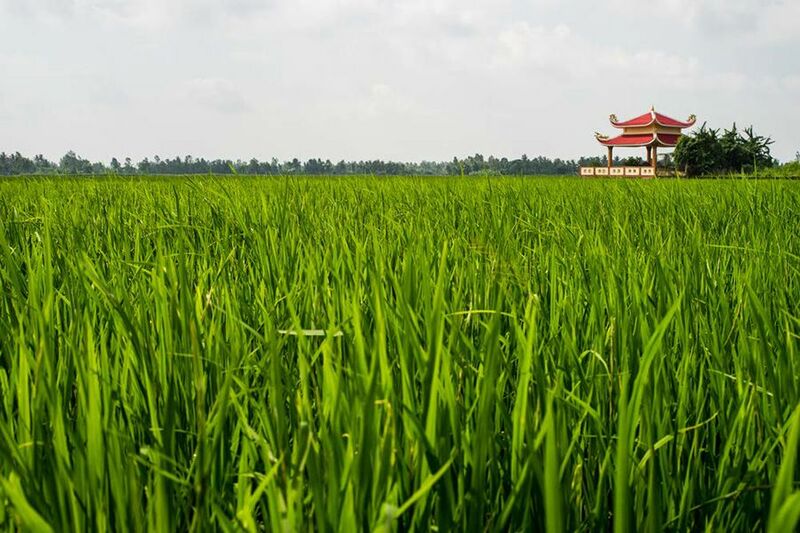 Surrounded by vast maze of rivers, rice paddies, swampland and green foliage, the Mekong Delta should be at the top of your list of things to see in Vietnam. 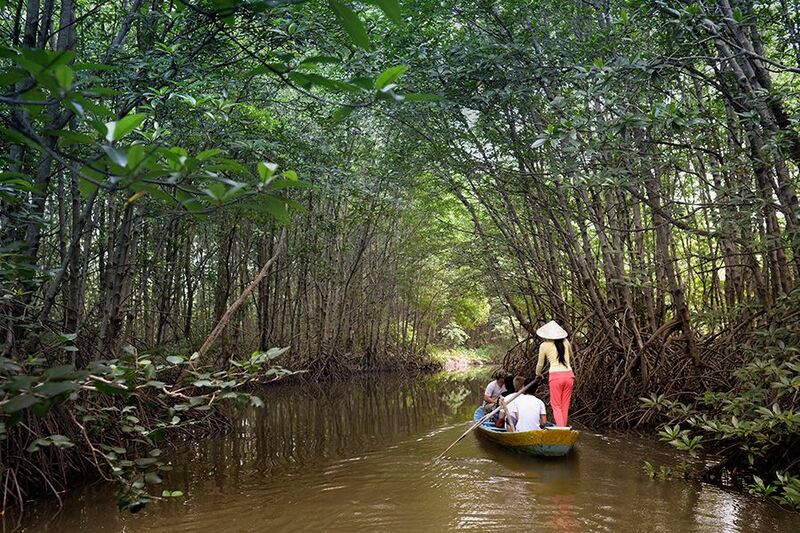 Still remaining a hidden gem of Ho Chi Minh City for some foreigners, Can Gio mangrove forestis an UNESCO-listed biosphere reserve located just 40 kilometers outside of Ho Chi Minh City. Alive with monkeys, gibbons, crocodiles and other tropical forest life. The wetland enchants visitors with its lush leafy palms and fresh air. Glimpse local life along the river at a nearby fishing hamlet and see why the fertile Mekong Delta region has enchanted centuries of travelers with its captivating colors, sounds and aromas. Ho Chi Minh has many historically important locations. 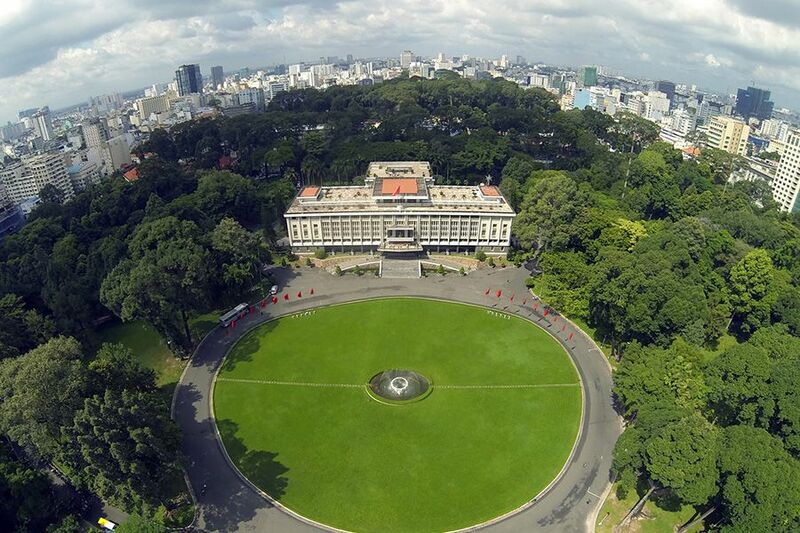 Home to the War Remnants Museum, the Independence Palace, the intricate system of Cu Chi Tunnels and along with a number of other iconic landmarks, Saigon is perfect for both history buffs and those who need a beginner’s lesson on Vietnam’s rich past. You don’t know the true meaning of claustrophobia until you’ve visited this vast network of interconnecting underground tunnels, 30 kilometers from Ho Chi Minh City. Cu Chi Tunnels were built by the Vietcong and used as operational headquarters to evade detection as they moved troops and supplies throughout Saigon’s northern districts. 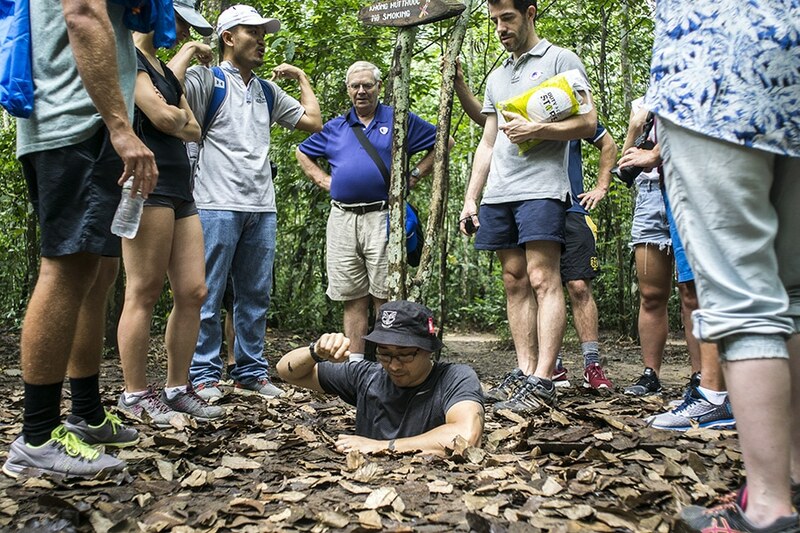 Cu Chi Tunnels was instrumental in numerous military campaigns during the war and played a decisive role in Vietnam War. You can get to Cu Chi Tunnels by many ways: bus, taxi , motorbike or even by speedboat along the Saigon River. Probably a memory that will last a lifetime is floating down the river, enjoying and absorbing a lesser-seen glimpse into rural Vietnam as it trundles along a slow tempo, as it has done for centuries. Whether it’s the mighty Mekong Delta or a hyacinth-covered section of the Saigon River, getting on a boat ensures a tranquil day bordering on one long meditation. Life on the water is still wonderfully active, from chaotic floating markets to the fascinating sight of floating villages. Ho Chi Minh City offers an amazing choice of both traditional food and new, innovative concepts. 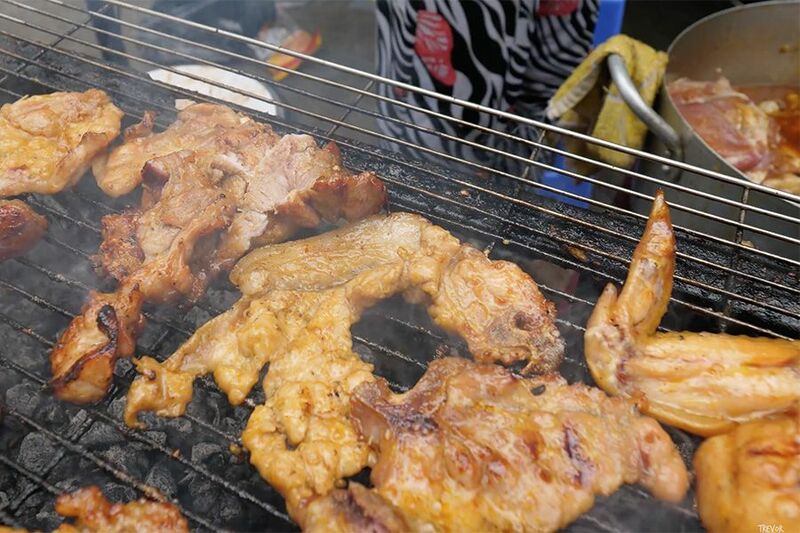 Saigon’s diverse cuisine offers you so many options, from cheap but delicious street food to luxury and seriously good Mediterranean mezze or Carolina-style barbeque pork ribs. So, if you like both traditional phở and intriguing fusion cuisine, you’re sure to find it in the streets of Saigon. 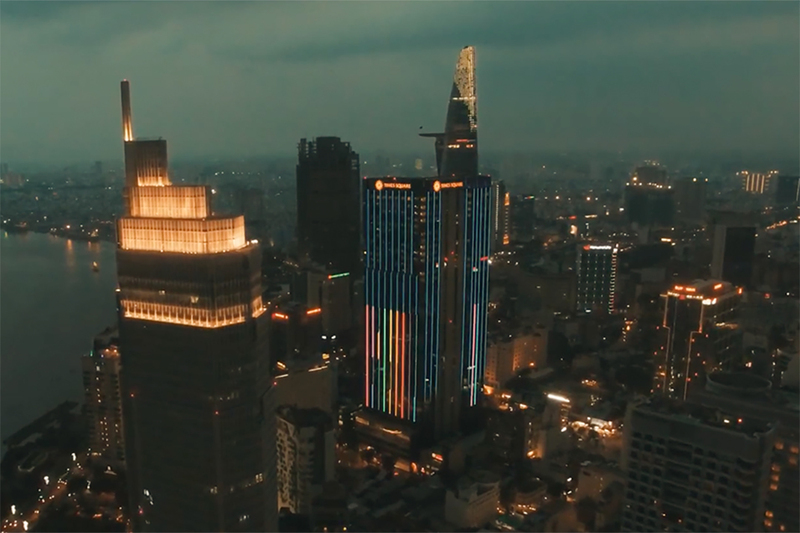 You can feel Ho Chi Minh City overwhelmingly busy as it’s the largest city in the country and a thriving hub of commerce. 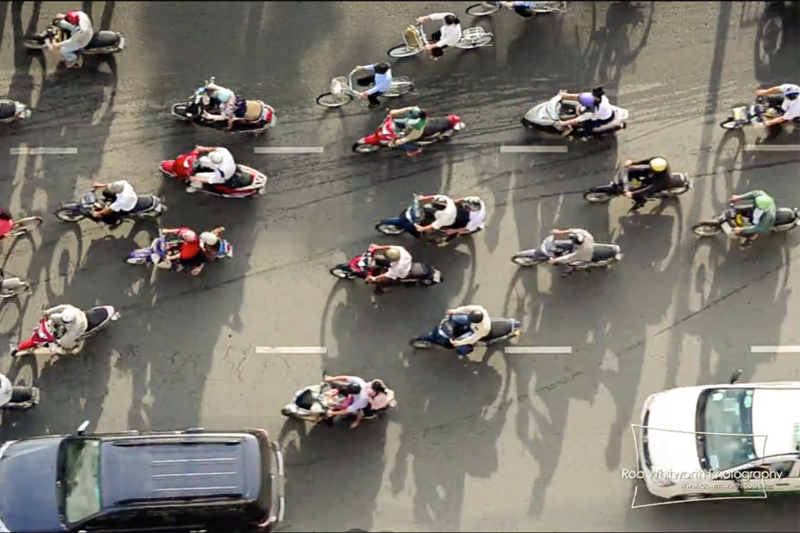 On top of that, it has a population of 8.5 million and an estimated 7.6 million motorbikes. Making Saigon your priority visit may be a baptism of fire, but it’s also a thrilling, exhilarating experience, with an atmosphere like nowhere else in Vietnam. Ho Chi Minh City often comes alive in the evenings, with everywhere from cafés and bars to lakes and bridges filled with night owls. There are so many clubs and bars in Ho Chi Minh City that it would take you a lifetime to visit them all. Similar to Bangkok’s famed Khao San Road, Pham Ngu Lao Street is Saigon’s backpacker district, and it’s where the revelry goes on long into the night. If you’re looking for more urbane options, try a rooftop bar hop of three of the city’s most famous hotels, the Rex, Caravelle, Majestic or Renaissance, where you can find colorful history and impressive view from there.